Both of the above require the back-end servers to be capable of supporting the respective capability. A third and more generic approach is for the Service Engine to use the client IP as the source IP for load-balanced connections from the SE to back-end servers. This capability is called preserve client IP, one component of Avi Vantage’s default gateway feature, and a property that may be set on/off in application profiles. 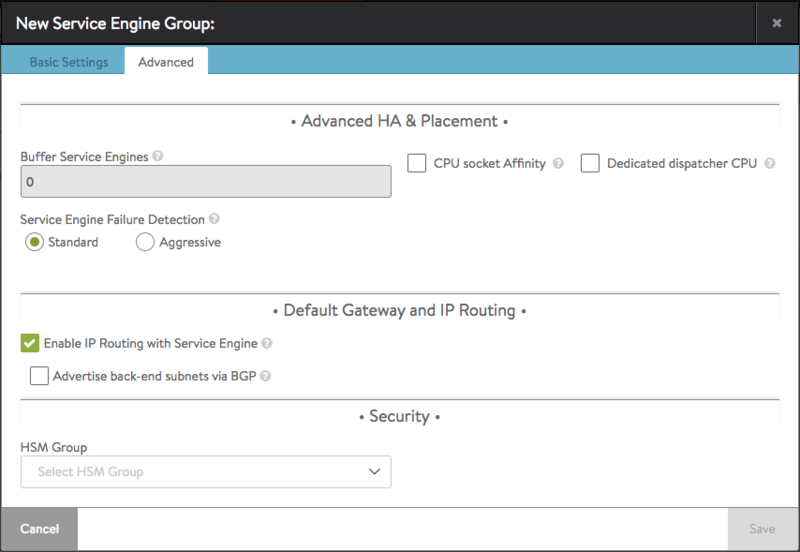 Enable IP routingin SE group is a prerequisite for enabling preserve client IP in any application profile. As enabling IP routing is a prerequisite for enabling preserve client IP, all the restrictions applicable to enabling IP routing are applicable here. Preserving the client IP is mutually exclusive with SNAT-ingthe virtual services. Enablingconnection multiplexing in an HTTP(s) application profile is incompatible with selecting preserve client IP. Client IP will not be preserved if Client and Server IPs are in the same subnet. It will always NAT the back-end connection in such cases. 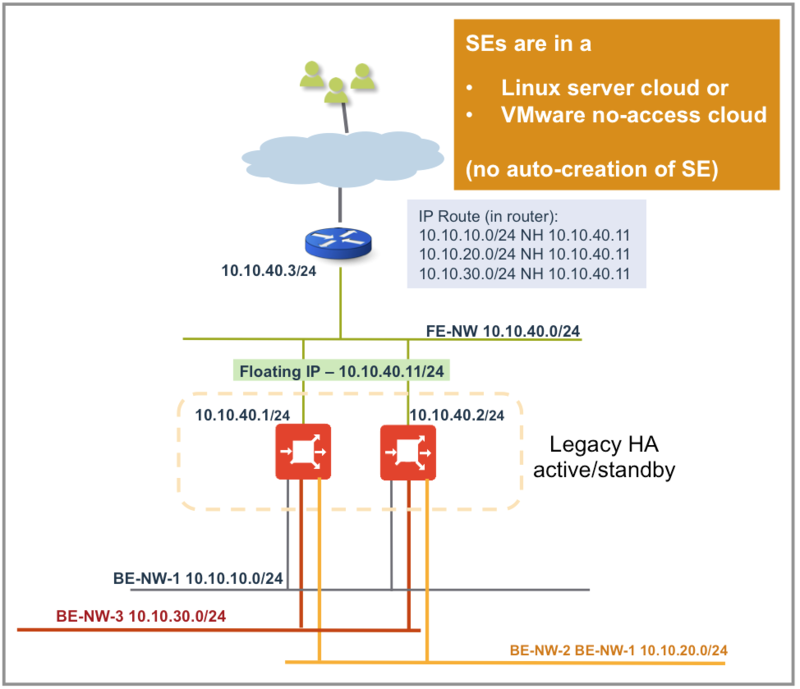 Enable IP routing on the SE group before enabling preserve client IP on an application profile used to create virtual services on that SE group. configure SE’s default gateway as front-end router. Applications -> Create Virtual Service -> Advanced -> Edit Application Profile Please note that this configuration needs to be done before enabling any virtual service in the chosen application profile. Once an application profile is configured to preserve client IP, it preserves the client IP for all virtual services using this application profile.